As the world becomes increasingly globalised and its economies intertwined, a researcher from The University of Melbourne has embarked on a world first project to understand the impact of uncertainty on an international level. Uncertainty stems from fluctuations in financial markets, political decisions and macroeconomic policies and plays a crucial role in the purchasing and investment decisions of households and businesses, which, in turn, impacts a country's business cycle. Associate Professor Efram Castelnuovo is expected to put Australia at the forefront of scientific research into the macroeconomic effects of uncertainty as he works to understand the role global uncertainty plays in business cycle fluctuations. Previously, research in the field has been more focused on idiosyncratic or local impacts of uncertainty. But, with Australia's economy increasingly dependent on countries such as the United States and China, A/Prof Castelnuovo is researching whether the impact of uncertainty has increased as the world has become more globalised and if fluctuations in global uncertainty are more severe in economic recessions. 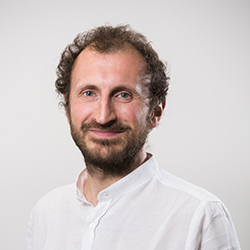 Through his research, funded by the Australian Research Council, A/Prof Castelnuovo plans to develop the world's first global uncertainty index estimation, using state-of-the-art econometric techniques. This index will empirically quantify the impact of global uncertainty on the Australian and international business cycles. The creation of a global uncertainty index estimation will enable Australian policymakers to better design policies that efficiently manage global uncertainty shocks and limit the recessionary effects at a local level.